How about that Dow? Up 286 points yesterday. And gold up $17. Markets are counting on their hero, Mr. Benjamin S. Bernanke, to come to the rescue. They can practically hear the printing presses warming up…and smell the fresh $100 bills rolling off. When will they ever learn? Oh when will they ever learn? The working classes made substantial gains until the 1970s. Then, wages went flat for the next 40 years. …data from a number of sources indicate that income inequality over all has grown significantly since the late 1970s, after several decades of stability. A 2011 study by the CBO found that the top earning 1 percent of households gained about 275% after federal taxes and income transfers over a period between 1979 and 2007. What happened in the ’70s that changed things? Take a guess. The feds changed the money. From a money that was limited – because it was connected to gold – to new money that would stretch as far as the feds wanted to pull it. In the event, they used it to increase US credit outstanding 50 times since the ’60s. Total US credit didn’t exceed $1 trillion until 1964. Over the next 43 years it rose to over $50 trillion. But more of it went to rich people than to anyone else. And now everybody’s gunning for the rich…for the 1%. And what was their crime? Didn’t they just get lucky? And even if that were true, it doesn’t address the real issue: how come the 1% got to make so much money? That’s about as close as Mr. Stiglitz comes to analyzing the situation, as if it were the result of ‘class warfare.’ He doesn’t seem to realize that Buffett was joking. Or should have been. Instead, he goes on to describe how wealth inequality is a problem: because people without money can’t consume…because it leads people to become zombies (rent seekers…rather than producers)…because it is “unfair”…and because it creates mistrust in the society, leading to dysfunctional institutions. When invited to consider proposals to reduce inequality – by raising taxes and investing in education, public works, health care, and science – put any latent notions of altruism aside and reduce the idea to one of unadulterated self-interest. Don’t embrace it because it helps other people. Just do it for yourself. He doesn’t explain how getting 1% of the voters on your side would make much of a difference in a general election. Presumably, the electorate or its representatives must approve these proposals. Nor does he bother to tell us how spending more money, or “investing” as he puts, on more education, more boondoggles and more health care will cause wealth to move from the 1% to the 99%. After all, the feds have been lavishing money on those programs for the last 30 years – just as income equality increased! Nowhere did they spend more money than in the Zombie City itself, Washington, DC. For every dollar Washington pays in taxes it gets back $5 from taxpayers elsewhere. And nowhere is there greater income dis-equality than in Washington. Well here’s a little good news. The zombies were dealt a setback this week. Wisconsin’s governor, Scott Walker, beat back the public employees’ unions in a recall election. We don’t usually touch politics here at The Daily Reckoning. We don’t have a pair of rubber gloves thick enough. But when a politician balances a state budget without raising taxes it is noteworthy. It is even more noteworthy when he has cut back on zombie expenses…and then is able to hold his own when the zombies counterattack! It might even lead some observers to imagine that Mitt Romney might win the presidential election and that he might turn out to be a zombie-killer too. Others go so far as to think the tables have been turned against the zombies, generally. We’d like to believe it. But history is a long, sad tale of strong leaders doing the wrong thing, not the right thing. If they did the right thing there wouldn’t be so much history. No big wars…no great revolutions…no economic catastrophes. If history can count on leaders to do the wrong thing so can we. Mitt Romney is no threat to the zombies. In fact, he’s already pledged to give them more fresh meat. That’s right, he says he’ll send more resources to the US military – the biggest zombie organization on the planet. Why does Mitt think the Pentagon is a little short? Because some of the most powerful lobbyists and biggest campaign donors say so! What more proof could you want? As to the un-armed zombies, we haven’t seen Mitt declare himself one way or the other. He seems to have no fixed positions; he’ll go where the zombies push him. Just like Barack Obama. But it probably doesn’t make any difference. For every successful fight against the zombies, such as the one just won by Scott Walker, there are hundreds or thousands of skirmishes, ambushes, and pitched battles where, when the dust settles, zombies are the only ones still standing. Yesterday, we sat in our local Ford dealer’s office while our truck got serviced. Keeping an eye on the TV screen in the waiting room, we noticed no fewer than three zombie ads within a 15-minute period. Two of them were for lawyers. One at 1-800-299-HURT offers to sue someone for you if you were in a traffic accident or a victim of medical malpractice. The other, at 1-800-THE-FIRM , said that if you were injured on the job or in a store, there was a good chance that the business was responsible. The third advertisement appealed directly to the zombie instinct. It was for a company that calls itself “Disability Associates,” a group that makes a business out of getting people firmly into zombiedom, where they are fully supported by the rest of us. Bill Bonner [send him mail] is the author, with Addison Wiggin, of Financial Reckoning Day: Surviving the Soft Depression of The 21st Century and Empire of Debt: The Rise Of An Epic Financial Crisis and the co-author with Lila Rajiva of Mobs, Messiahs and Markets (Wiley, 2007). © 2005-2012 http://www.MarketOracle.co.uk - The Market Oracle is a FREE Daily Financial Markets Analysis & Forecasting online publication. Money Advice Group, one of the UK’s leading financial solutions companies, has acquired No Debt Now, a debt management company based in the North West. The No Debt Now purchase comes on the back of Money Advice Group’s recent £10 million credit facility deal with PNC Business Credit, and is the first whole share acquisition to be announced as a result of it. Founded in 2008, No Debt Now has over 1000 clients and employs 12 staff members, all of whom will be moved to Money Advice Group headquarters, to operate under the Group’s name. A member of DEMSA, No Debt Now boasts an exemplarily reputation within the industry, with a well-trained, high quality employee base, making it an attractive opportunity for Money Advice Group, in terms of both client, and staff, integration. With a significant staff to client ratio and a minimum growth projection, No Debt Now owner and managing director, Michael Paterson took the decision to sell to Money Advice Group in April this year. Completed in just under five weeks, the No Debt Now deal benefitted from Money Advice Group’s strong IT infrastructure and staffing structure whereby a smooth transition for staff and clients is guaranteed – testament to Money Advice Group’s commitment to its wider growth strategy, in which it hopes to grow its market share by a third, through similar deals such as this. “We are delighted to announce the acquisition of No Debt Now. We see many synergies between it and Money Advice Group, specifically its highly compliant ethos and the investment it has made in staff training and development; meaning its clients and staff will fit naturally within the Money Advice Group family. Australian telecommunications company PlusComms is poised to acquire a piece of global telecommunications and space history as it seeks to raise capital for the purchase of the Jamesburg Earth Station. 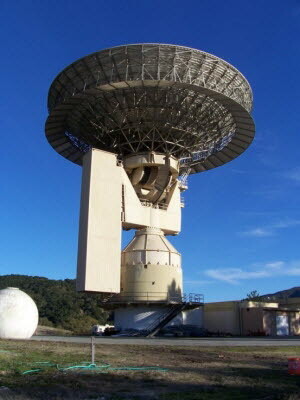 Located in California's Carmel Valley, Jameson was built to assist the Apollo moon landings and until 2002 was a fully functional communications station operated by AT&T. The relic has been on the market for some time with a price tag of just under US$3 million. For that wad of cash you get a house, barn, heliport, around 150 acres of land and a 97-foot satellite receiver with associated structures ... including a bunker. You can peruse the real estate listing here. The site has been in the hands of Silicon Valley entrepreneur Jeff Bullis for seven years. He originally purchased the property for $1.7 million and spent a further $2 million developing it. PlusComms founder and regional operations manager Robert Brand says that claim is "a bit wrong" but feels the site is sufficiently secure it is the ideal spot for an armageddon-proof data centre. “We intend to build a tier 3.5 data centre with multicarrier fibre with diversity path and a backup multi-gigabit microwave link. The site is ideal as a backup site for government or companies and is away from the dangers of San Francisco and LA earthquakes, tsunamis and other disasters,” Brand told The Register. Once the sale is completed, Brand expects the facility to be operational within the next 8-12 months depending on customer requirements. “The dish needs repair, but our focus would be on separate satellite dishes for customers to provide communications to remote locations or in the case of a major disruption, we would be able to provide satellite comms by prior agreement,” he said. The current investors for the proposed Jamesburg redevelopment include the current directors of PlusComms and, once capital raising is completed, they aim to be self-funded. Brand said that once key customers are secured, the group would expand operations to fill the whole site and will use it as a base to develop its portfolio of mining and space technology ventures including a range of GPS tracking and navigation products for underground use targeting the mining sector and a global deep space network. Slideshow: We call them superstars, but their other name is "Dad."